Sildenafil over-the-counter is a long-term wish of a significant number of males suffering from impotence or erectile dysfunction. The current pharmacy legislations prohibit the sale of Sildenafil Citrate products without the provision of the proper prescriptions from licensed medical practitioners, but somehow, clients can get ahold of the products in some way. Consumers are required to show their prescriptions at local drugstores before they are dispensed with the drug, but can patients freely secure Sildenafil Citrate products even without providing the needed Rx? What is Sildenafil Citrate and is it the same with Viagra? Let us discuss more about Sildenafil first. Sildenafil Citrate is a type of drug categorized as a PDE5 inhibitor, or a product intended to treat male impotence (inability to conjure and maintain erections naturally). Viagra, the world’s first PDE5 drug has Sildenafil Citrate as its main component, and it is what makes the drug highly effective. Sildenafil Citrate is also a generic term including all of the other Sildenafil Citrate-containing medications from a wide range of pharmaceutical producers. Today, Sildenafil Citrate products can be found at local drugstores and even on the web, from online pharmacies and mail-order prescription services. They have the same active pharmaceutical ingredient, Sildenafil Citrate. Generic Viagra or Sildenafil Citrate products won’t be considered as “generic” counterparts of Viagra if they do not contain the appropriate (and the correct) amount of Sildenafil Citrate in every dose. Naturally, they have the same effect. Since these products contain the same active ingredient, you can expect the exact same erectile function-enhancing result from both drug types. They have the same onset of action and the same duration. Other patients worry about the alleged “slower onset” of action from the generic Sildenafil products. The slower onset is untrue—both generic and brand Viagra take effect at the same rate and also last in patients nearly at the same rate. Price. Generic Viagra is sold much cheaper than the brand-name product. Appearance. Generic Sildenafil products may look different, unlike the iconic blue and diamond-shaped Viagra pill. The façade of generic items should not affect their effectiveness in any way. Manufacturer. Of course, generic Viagra products are from various manufacturers all over the world—you’ll be surprised—there is a plethora of them present locally and internationally. Can I Buy Sildenafil Citrate Over-the-Counter? The current status of Sildenafil Citrate, regardless of brand, is prescription-only. Regardless of where you’re purchasing the medication, you will be asked to provide the appropriate prescriptions for the medications. Wherever you go, you will be asked by your pharmacist to provide the needed prescriptions for your Sildenafil Citrate order. Why is Sildenafil Citrate classified as a prescription-only medication? The product’s recommendation is prescription-only because patients need to be properly assessed prior to their intake of the drug. An overall consultation should be done in order to determine of a patient suffering from erectile dysfunction is fit to take Sildenafil Citrate for his condition’s improvement. Some medical conditions prohibit the intake of Sildenafil citrate, as the patients’ current medications may interact harmfully with the drug—in the same way, their comorbid diseases may also render Sildenafil Citrate ineffective or can cause an entirely different (and possibly harmful) reaction. Are there medical conditions contraindicated for Sildenafil Citrate use? Males with pre-existing medical conditions such as heart disease, renal or kidney disease, liver or hepatic impairment, cancer, HIV or AIDS, diabetes, and other chronic conditions need special considerations since their maintenance medications can interact with Sildenafil Citrate and cause adverse drug effects harmful to the patient’s health. Some medical conditions such as liver disease can render the patients unable to metabolize (or process) Sildenafil Citrate and may experience toxicity, so generally, they are contraindicated for Sildenafil Citrate use. Where Can I buy Sildenafil Citrate Over-the-Counter? Although the local and international laws are austere when it comes to the dispensation of Sildenafil Citrate, there are platforms which allow the no-Rx distribution of Sildenafil Citrate products to the consumers. No-Rx Sildenafil is illegal. Regardless of your medication source (local drugstore or online pharmacies), you should be asked for prescriptions for your Sildenafil Citrate orders. Be wary of suppliers claiming to dispense Sildenafil without prescriptions—they may be unlicensed vendors and could be vending fake products. Online pharmacies sometimes dispense no-Rx Sildenafil items. 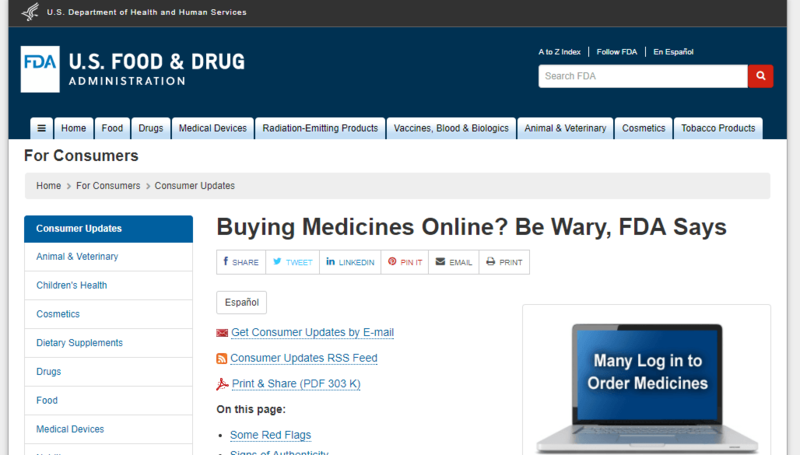 Some web drugstores market that they are able to dispense Sildenafil over-the-counter. Trust only the ones offering online consultations from their doctors; if they don’t have online consultations and offer to send Sildenafil over-the-counter, beware. It is possibly unsafe for the patients. Buyers should consult their doctors first and refrain from self-medicating on Sildenafil, as the drug has a considerable number of side effects, contraindications, and drug interactions. Patients may experience heightened side effects and some quite unlucky patients die because of taking over-the-counter Sildenafil. Some Sildenafil over-the-counter vendors are scammers. The government warns consumers about over-the-counter Sildenafil sellers because most of the time, these operators sell fake products and they may also steal your money and credit card information. It is illegal—you might get caught and legally reprimanded. Don’t push your luck with over-the-counter Sildenafil—you may end up being charged for even just purchasing no-Rx Sildenafil products when caught. Sildenafil Citrate products, including Viagra from Pfizer, are prescription-only medications and legally prohibited to be dispensed over-the-counter. You can secure over-the-counter Sildenafil on the internet pharmacies, though, but there is a considerable number of safety concerns for patients when they purchase Sildenafil over-the-counter. Buyers should consult their doctors before purchasing and taking Sildenafil Citrate products, because of the drug’s sensitive nature. Sildenafil Citrate can cause side effects and adverse drug interactions, so patients should consult their physicians for professional advice to safeguard their health and maximize the drug’s effects.